One of the challenges when changing vertical dimension is the transition from the existing vertical to the new one the day that a whole arch of teeth are prepared. For many years it seemed like a mystery to me how dentists transferred the new vertical from the wax-up to the mouth. I consoled myself by believing it was an arbitrary change anyway, so I didn’t need to copy the mounted models precisely. Then I learned an effective technique for using shell provisionals that streamlined both the fabrication and ensured I could recreate the vertical. Once the preparations are complete you will need to make certain that the unlined shell will seat completely. In tomorrow’s post I will cover a fabrication technique for the shell that eliminates the issue of seating. Use a caliper and measure from the cervical margin tot he incisal edge of the centrals and do the same on the molars. With the unlined shell over the preps it should seat so the distance from the incisal edge to the gingival margin is the same or less than on the wax-up. With the calipers set to replicate the distance on the wax-up, place triad or composite into the shell where the two central incisors are. Seat the shell until the distance from the gingival margin tot he incisal edge of the provisional match the wax-up using the calipers. 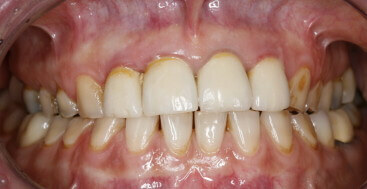 Now cure the composite in the composite in the central incisors. Once cured you have essentially created a lucia jig inside the provisional, an anterior stop set to the new vertical dimension. The next step is to load the remainder of the provisional shell with bisacryl. 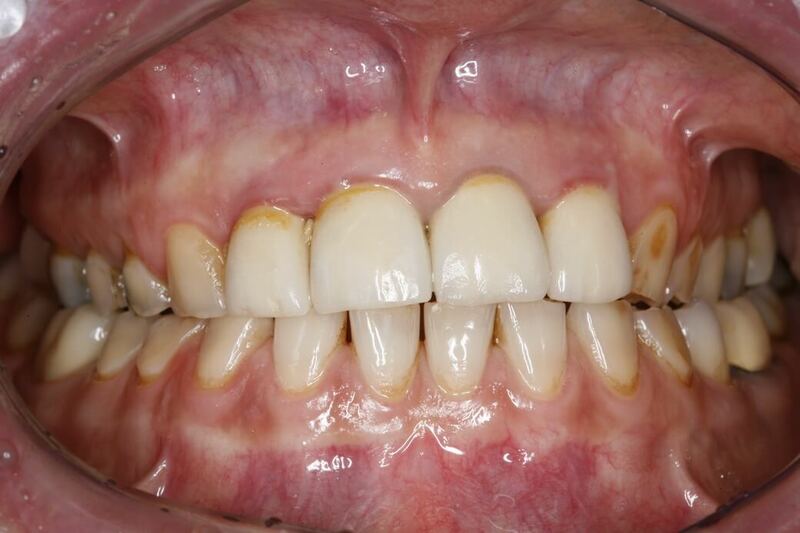 Seat over the central incisors until the prep stops at the cured composite. Now ask the patient to close gently and allow them to seat the posterior segments with their occlusal contacts. Without resistance and the only stop being the centrals the condyles will seat and create the posterior occlusion in a seated condylar position. Pull the provisional from the mouth prior to a full set as the preparations most likely do not draw around the arch. Allow the bisacryl to set fully and separate into three pieces for ease of seating. I usually separate between the canines and the first premolars unless I have pontic spaces. what about a sequential wax up for vertical dimension change? I have the ceramist wax up the six anteriors and then fabricate a putty stent using the palate and posterior teeth as solid stops. I then make a posterior stent using the final wax up. on prep day i prep the anteriors, make my temps with bisacryl and then remove them. I then prep the posterior teeth, place the anterior temps on with deox to not bond them together and make post temps. with both sets of ant and post temps made i replace the ant temps have the patient close gently, seat condyles and then take 2 bites. I then remove ant temps, place post bites in and make final stick bite. i tried the shell technique and time and cost of composite was very complicated and expensive. can you see errors in my technique? Probably operator error Will. JK. I do something very similar.